Spice up your kitchen and your cooking! Now you can store, display and use your favorite spices with this attractive 12 bottle spice rack. 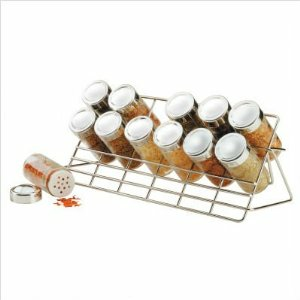 It features a stylish angled chrome rack and 12 glass spice jars with chrome lids 13 inches w. x 6 inches h.